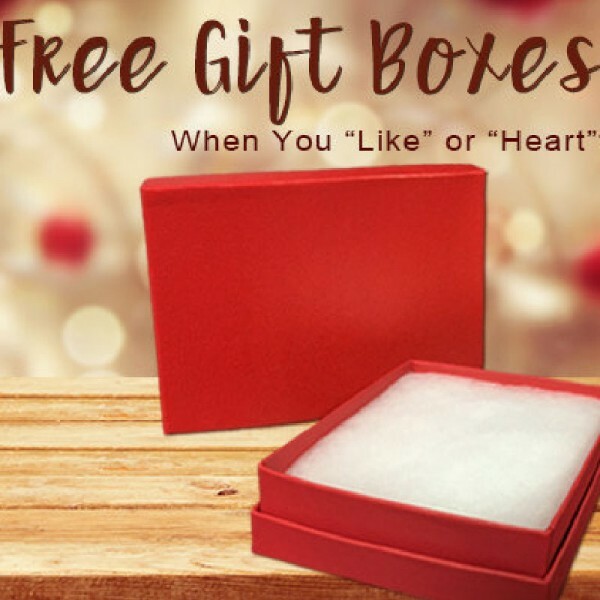 ♥ Favorite: this listing and get a free gift box with your order. 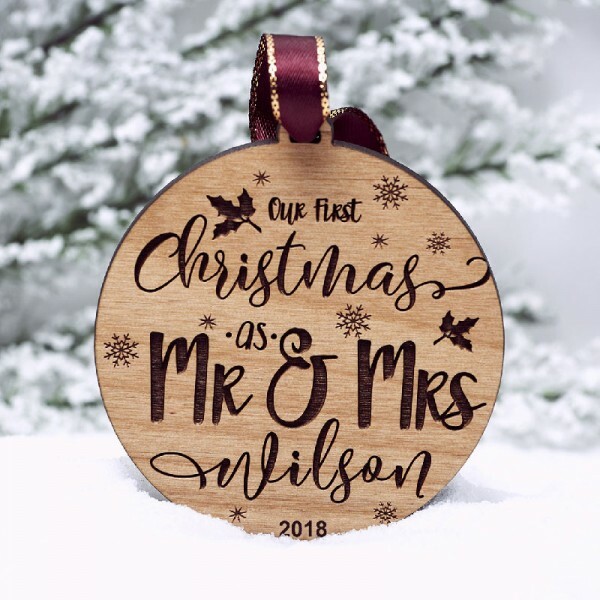 This ornament is beautiful, I love it! 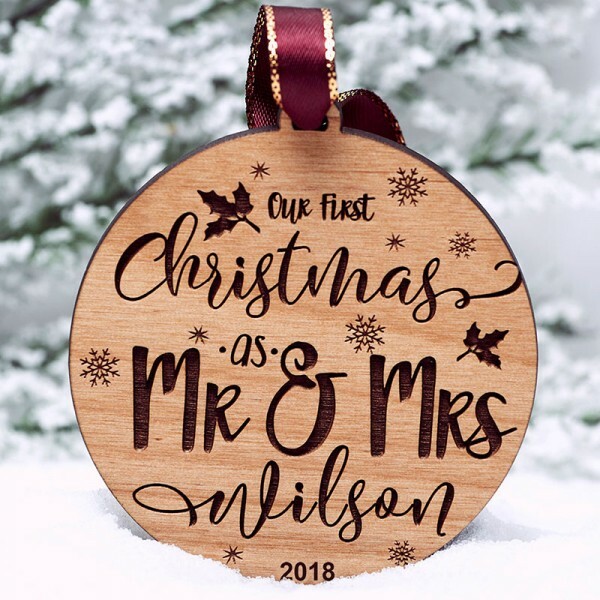 This ornament is beautiful, I love it! I bought it for my soon to be married brother and his bride. 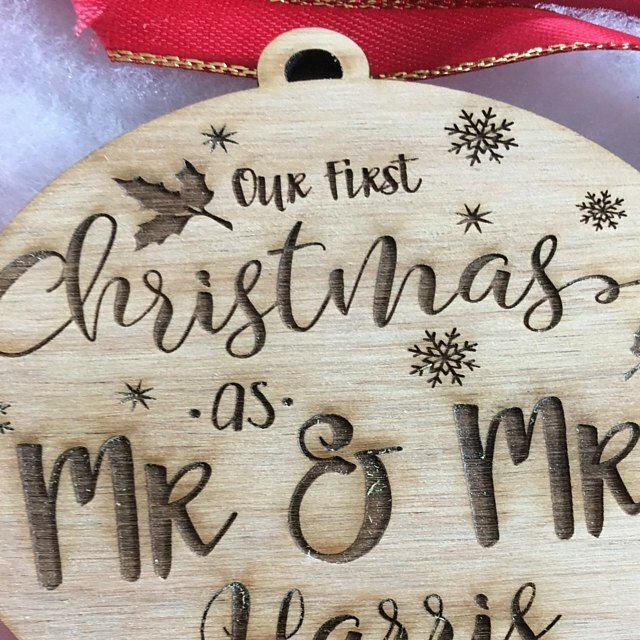 I can't wait to give this ornament to them! Fast shipping! Arrived and looked just like the picture! Absolutely adorable and perfect. Great communication. Thank you so much for your business! I ordered two of these and absolutely love them! Great quality! Super fast production and shipping! Super fast production and shipping! 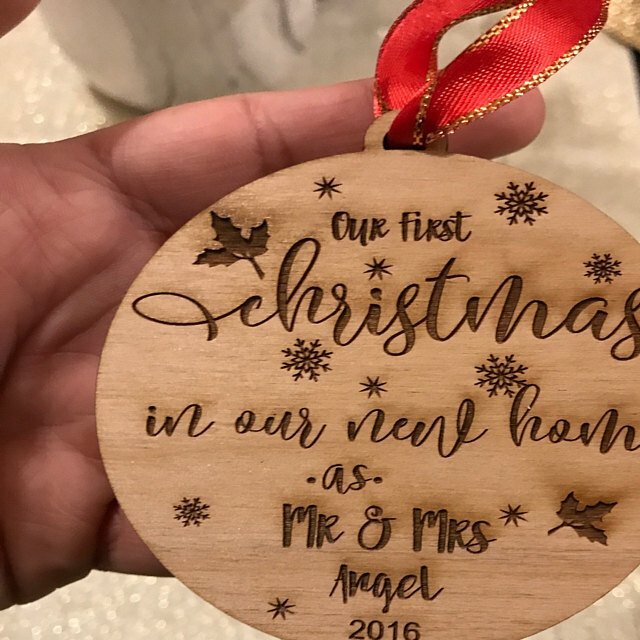 Very easy to work with seller and exactly what I wanted for our first ornament. Will def be buying again in the future! 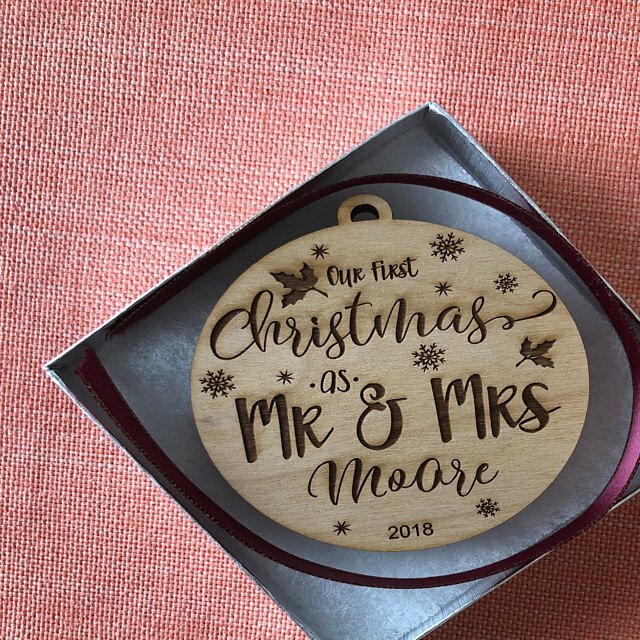 Very nice ornament for the newlyweds, packaged in a nice gift box, came quickly. Worth every penny! Beautiful ornament! Quick delivery as well. 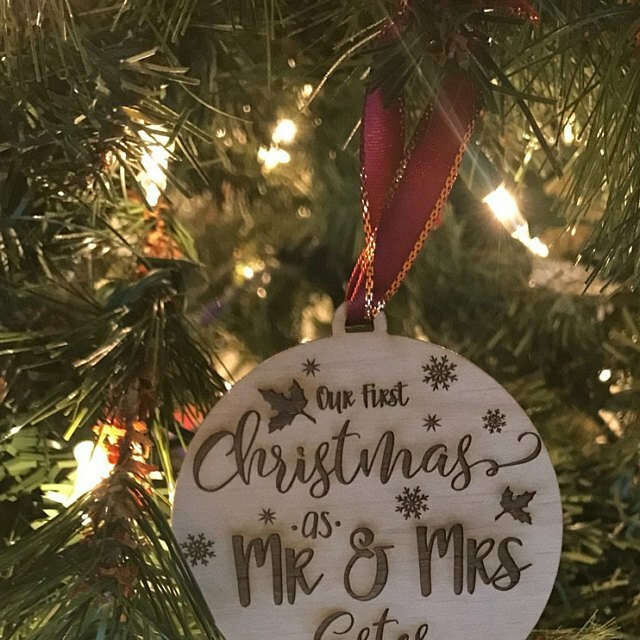 Ornament was a gift for a bridal shower. It came out perfect! The bride loved it! 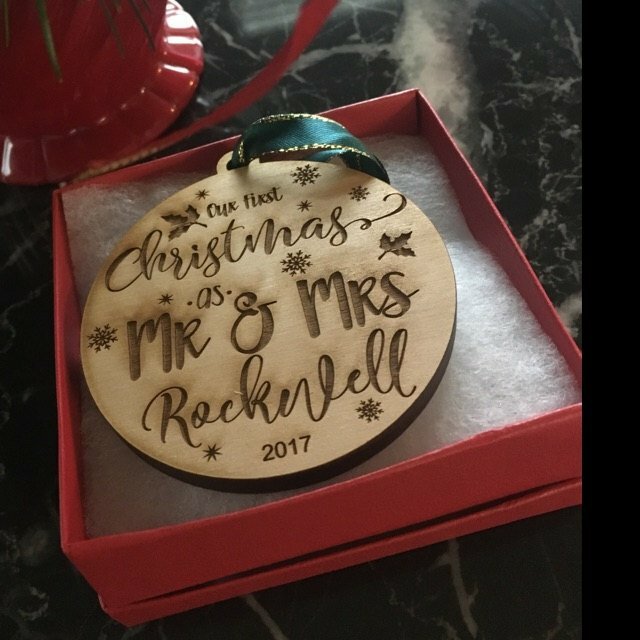 Thank you so much, love the ornament!!! Very quick and responsive seller. Very quick and responsive seller. The bride and groom loved it. Would definitely buy again. 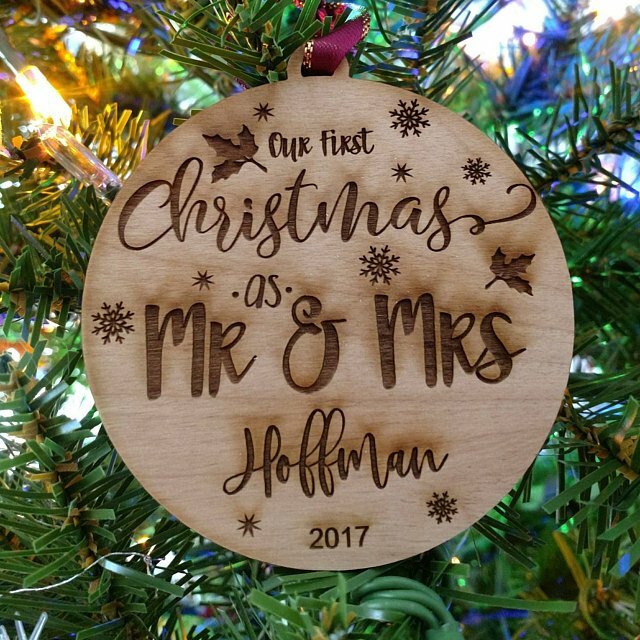 Ornament turned out beautiful! Exactly what I ordered! 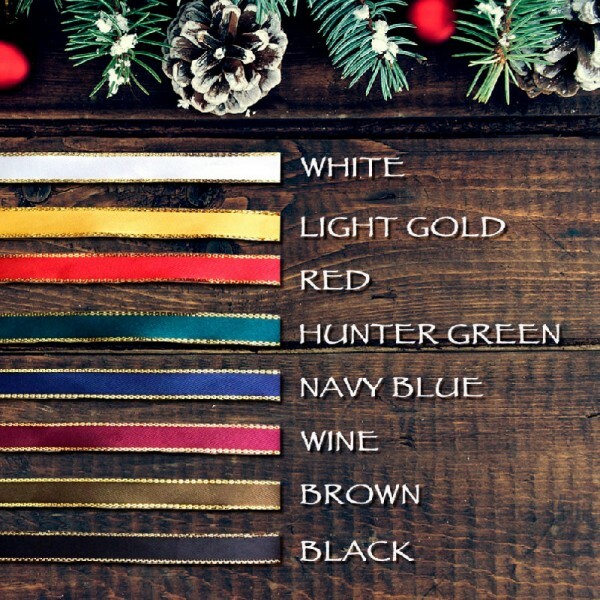 Good quality, easy communication and fast shipping! Quick processing and shipment. Great communication. 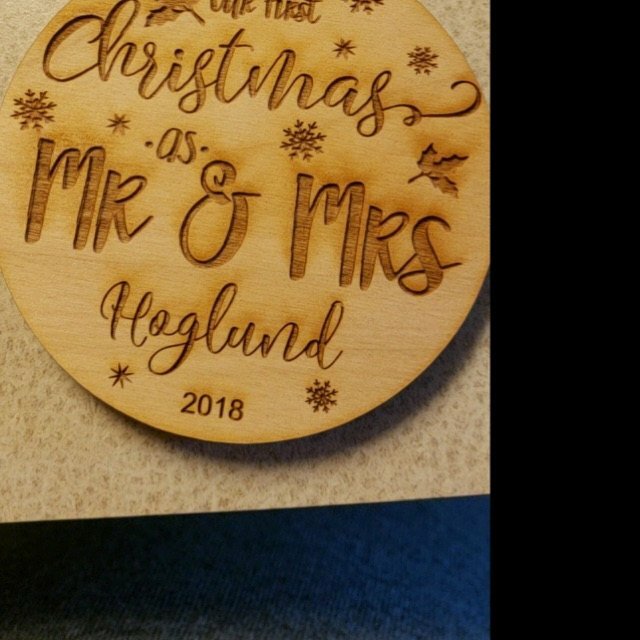 Ornament turned out beautiful and I can’t wait to give it as a gift! Thanks! Of course we can do the one as you mentioned. You can inform us the information you want in the “Personalization” section before you add it to your shopping cart. 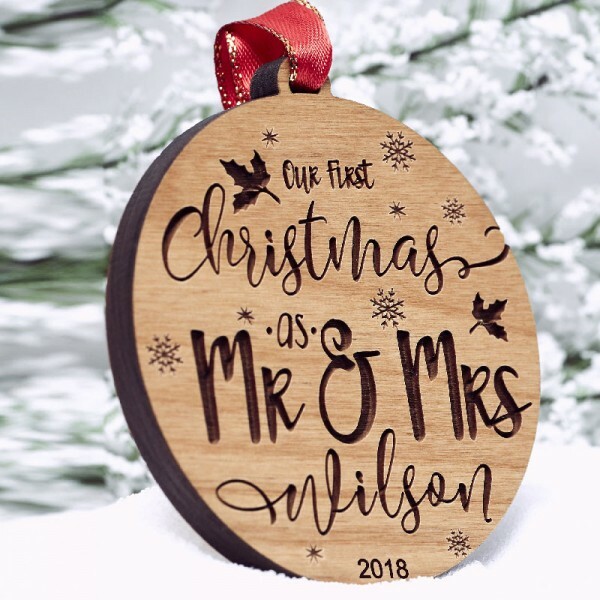 We could engrave the ornament in the note you instructed.